Language Official languages in Switzerland: French, German, Italian. % The official Swiss languages are: German, which is used by 63.7% of the population, French, which speaks 20.4% of the population, Italian used by 6.5% of the population. Area and languages The occurrence of individual languages is distinguished depending on the region: East of Bern (except Ticino) German predominates. The French language prevails west of Bern. Italian is the most common language in the Canton of Ticino. 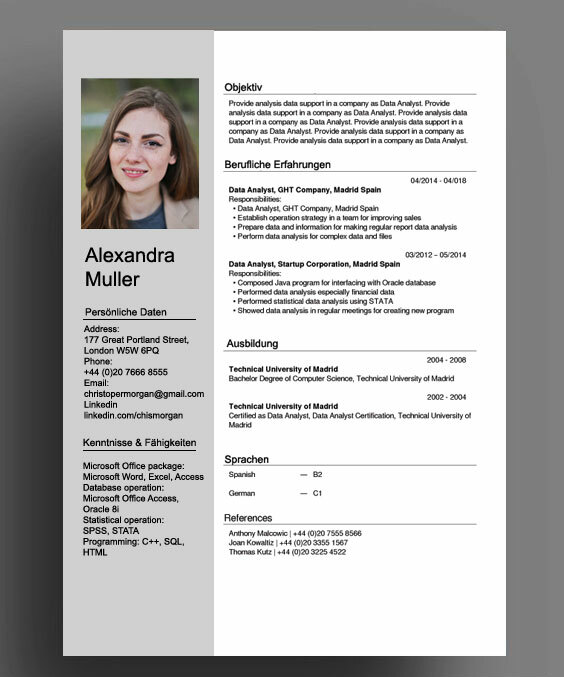 Before you start writing a CV In order to properly prepare application documents required during recruitment, it should be checked which language in the given region is official. In addition, it is worth remembering that the Swiss pay particular attention to the compatibility of education with the experience of the future employee. Photo in CV Should the candidate attach his photo to a CV? 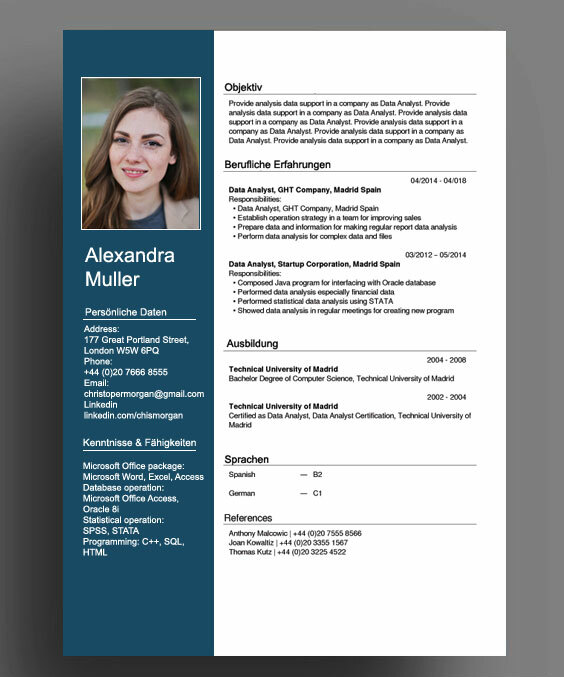 Yes, it's a good idea to attach the professionally taken photo to your CV. Tip When submitting your candidacy, it must be remembered that if specific qualifications are expected in the requirements for work, only such qualifications will be taken into account. All professional experience should be documented, because it will be recognized as long as it is consistent with the expectations of the employer. 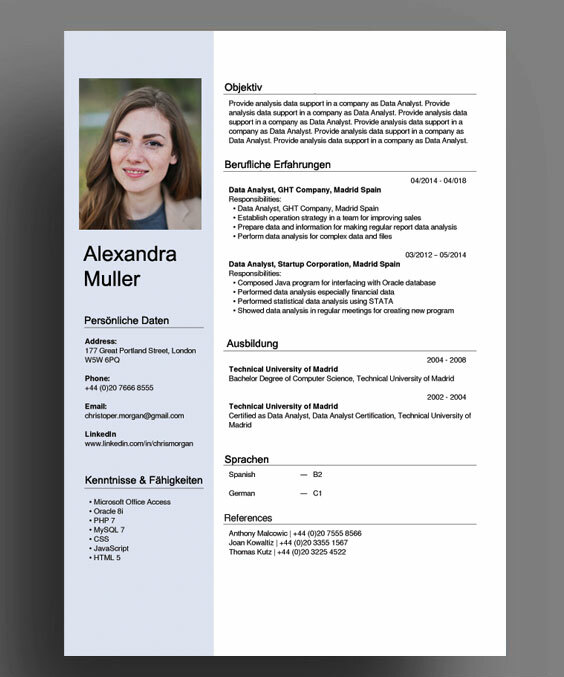 The CV should are written in a transparent and legible in A4 format and preferably one page. Avoid sending documents that appear universal. Switzerland jobs market for whom? In Switzerland, people are sought with very specific knowledge and skills. The people working in the IT and biotechnology industries have a good chance. Manual workers with specific skills are also sought (eg electricians, carpenters, construction workers). During the season, every pair of hands for job to grape in restaurants and hotels will come in handy, although you have to apply for a job much earlier before the season. Also in Switzerland, there is a high demand for employees to care for the elderly and childeren. In addition, there are many job offers for corporate employees with a good knowledge of English language.